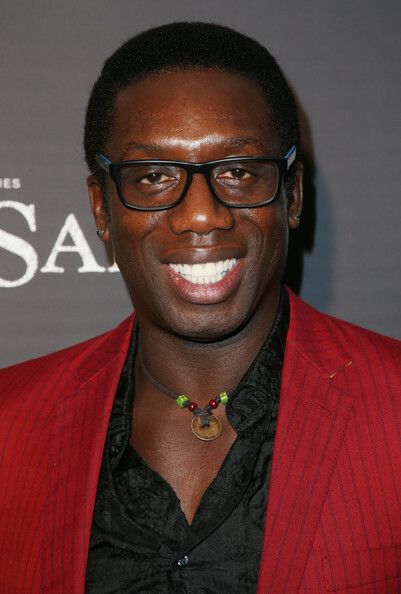 is a Nigerian actor best known for his work in the Starz television series Black Sails and his portrayal of Georges Rutaganda in the 2004 drama film Hotel Rwanda. Kae-Kazim was born in Lagos, Nigeria, where he spent his early years before his family re-located to London, England. His interest in acting began with school plays and The National Youth Theatre, which is when he discovered that he had “a love for theatre, for acting”. He trained at the Bristol Old Vic Theatre School, graduating in 1987 and was offered a space with The Royal Shakespeare Company, where he continued his classical training. After working alongside Brian Cox and Ian McKellen for The Royal National Theatre, Kae-Kazim made a successful transition into British television, appearing in The Bill, Trial & Retribution and multiple episodes of popular BBC series Grange Hill. He then moved to South Africa, where he became well known for film and television roles. However, it was his role as Georges Rutaganda in the critically acclaimed and Oscar nominated film Hotel Rwanda, which brought him to international attention. Following the success of Hotel Rwanda, Kae-Kazim re-located to Los Angeles, which brought a range of new opportunities his way. He went on to appear in Slipstream alongside Sean Astin and The Front Line before starring in the hugely successful Pirates of the Caribbean: At World’s End as Captain Jocard. He followed it with a role in the blockbuster, X-Men Origins: Wolverine. Kae-Kazim appeared in various hit television shows including Lost, Law & Order: Special Victims Unit and Criminal Minds. He also starred as Colonel Iké Dubaku in season 7 of the Fox television series 24 and the television movie tie-in 24: Redemption. Kae-Kazim continued to build up a following with roles in Gotham and Dominion, although his longest running role has been in the Michael Bay produced Starz series, Black Sails. Speaking about his character, Mr Scott, Kae-Kazim claimed to have based him on pirate of the time, Black Caesar. Kae-Kazim will be starring in the upcoming adaptation of Alex Haley’s Roots, chronicling the history of an African slave sold to America and his descendants. Called the ‘Man with a Beautiful Voice’, Kae-Kazim has also done extensive voiceover work ranging from television and radio to video games. His voice has been featured in a number of well known video games including Call of Duty: Modern Warfare 3, Final Fantasy XIV, Halo 3 ODST, Halo: Reach, Guild Wars, Pirates of the Caribbean: At World’s End, The Golden Compass and The Saboteur. Kae-Kazim has spoken of voice over work as being “a lot of fun”, and something he enjoys doing. Kae-Kazim is an appointed global ambassador for Africa 2.0, a civil society organisation providing a platform for emerging and established African leaders to drive forward the transformation of Africa. Speaking about his role as ambassador, Kae-Kazim said: “I am truly honoured to be associated with Africa 2.0 – a pioneering platform for a new generation of African leaders to inspire and create a solid infrastructure- to shape a brighter future for our continent”.